While artificial intelligence and facial recognition may be the road ahead for physical retail, the promise of online efficiency and future growth may not yet have made it to Chengdu, at least for one retailer. GOGO unmanned market, the first automated store in southwestern China, has been shuttered after less than five months of operation. Chengdu-based startup Xiao Mang Guo Technology, which operates the retail facility (called GOGO无人超市 in Chinese), is also accused of delaying payments to employees. When it first opened in September, the 20 square metre (215 square foot) market that requires no human staff attracted curious spectators and long queues, local media reported. The store in the southwestern Chinese mega-city boasts a custom app for shoppers, behavioural analysis using artificial intelligence, and iris and facial recognition. The closure follows the failure of the tech startup’s “mini-market” project, GOGO小超, which ceased operations in November after placing automated, glassless vending machines in more than 500 office building locations. A representative of Xiao Mang Guo Technology said that the supermarket will be reopened following an upgrade of its facial recognition system, according to the Chengdu Business Daily account. The person added that the shelved project was closed due to overly rapid expansion and the company’s misjudgment of the market. Regardless, the company remains optimistic about the unmanned retail industry. Despite the expressed optimism, the automated retail startup’s troubles didn’t end with the closing of its only venue. The representative from Xiao Mang Guo Technology admitted to Chengdu Business Daily that the company had delayed paychecks to more than 30 employees, who worked for the aborted shelf project. The company expects to complete payments to the employees in April or May. Despite Gogo’s stumble, some of China’s largest online firms are betting on physical retail and the ability to leverage artificial intelligence to sell more stuff offline. WeChat maker Tencent recently opened an unmanned pop-up store in Shanghai, which attracted more than 30,000 visitors in its first two days of operation. E-commerce giant Alibaba debuted its staff-free Tao Cafe in July in a five-day event. In December the mainland ecommerce giant opened the first of its HEMA tech-enabled supermarkets in its home city of Hangzhou, while laying out a plan to open 2000 of the O2O grocery emporiums. 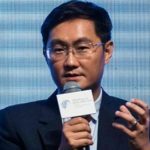 Online retail rival JD.com has been more aggressive, partnering with developer China Overseas Land to open hundreds of staffless stores across China in December. Offline retailers have also joined the human-free stores race, with retail behemoth Suning opening its first self-service store in Nanjing last August. The company announced plans to open three more in Beijing, Chongqing and Xuzho in November.